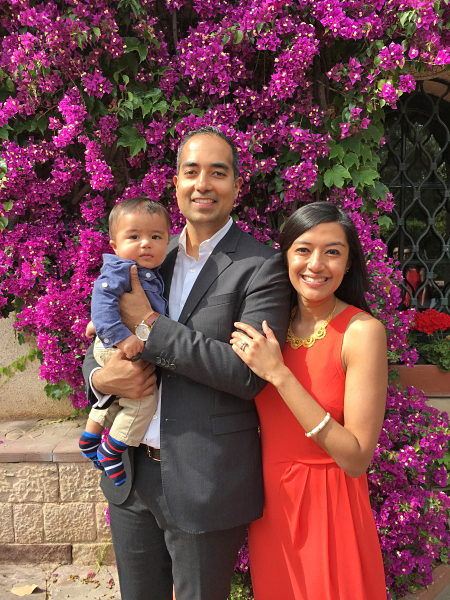 Adoption Profile - Hopeful adoptive parents, Shirin and Sachin, wish to adopt a baby. Family in NYC looking to adopt a 2nd child! Hi! 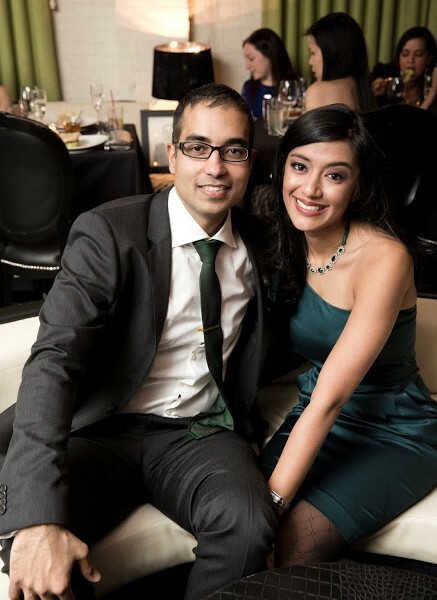 We are Shirin and Sachin, a happily married couple living in New York City. 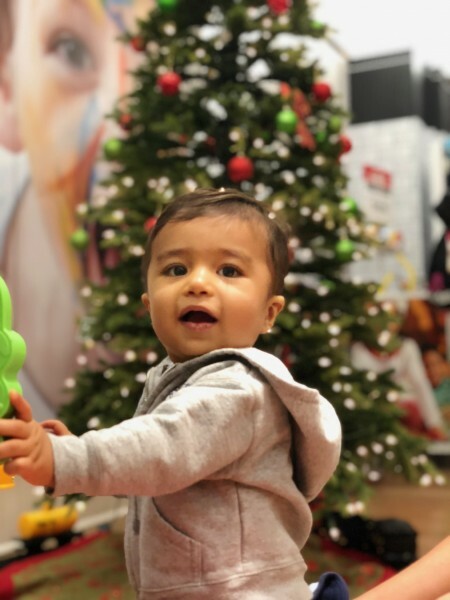 Last year, we welcomed our first child, a boy named Shaan. Becoming parents has brought a level of joy and meaning to our lives that is indescribable. We can’t wait to expand our family again! A few years ago, we started talking about adoption while traveling abroad. We came across so many children looking for a home and decided we wanted to do our part to help. At that time, we promised each other that if we were ever in a position to adopt a child, we would. We are now fully ready to act on that promise. 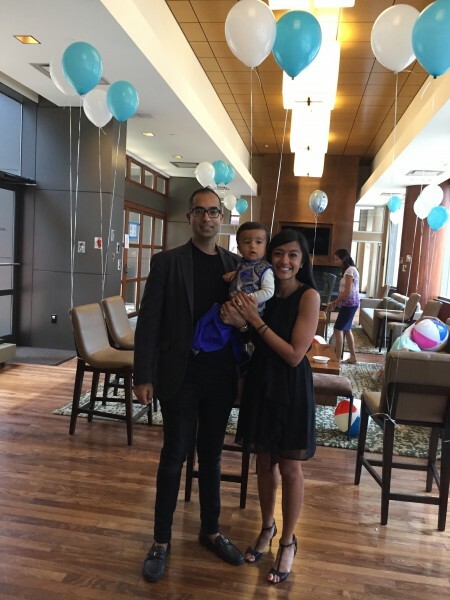 Our home is full of love, and our friends and family are eager to welcome a sibling for Shaan. You can trust that we will provide all of the love, happiness, and opportunities that we can. We'd love to start a conversation with you. Please reach out over text, phone, or email. Regardless of the path you choose, we wish you the best in your journey. We appreciate that you took the time to read our story. We take the responsibility of raising children very seriously, and we will teach them how to love, be kind, reach for the stars, respect others, and have fun. Also, we will strive to model compassion and kindness and share lots of fun and laughs together. As you consider adoption with us, we would love to start a conversation. We wish you the best in your decision! 10 years ago, we met during a friend’s birthday party and have been together ever since! The evening we met, we stayed up laughing and eating late night food until the next morning. Our love for each other has only grown with time. 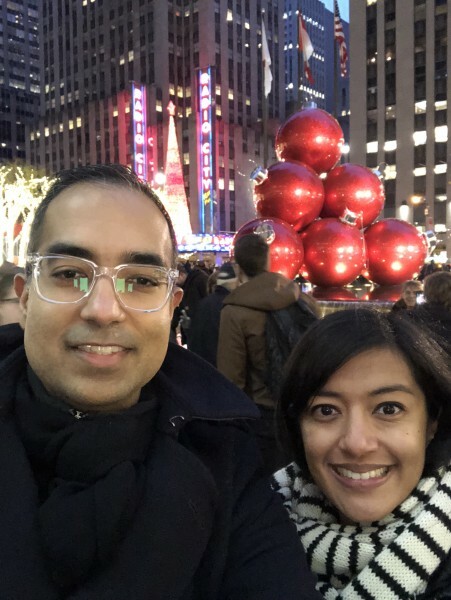 After a few years together, we got married, bought a home in one of our favorite NYC neighborhoods, traveled to 8 countries, and had a beautiful baby boy named Shaan, with lots of love and laughs in between. Prior to living in NYC, Sachin grew up in Florida. He and his older brother were close in age and in spirit, spending lots of time together pursuing similar interests. Shirin grew up in Dallas and went to university in Philadelphia. Our paths finally converged in NYC shortly after college, a city that has fulfilled so many of our dreams, both as individuals and as a couple. Today, we have a good balance of work and personal time. For work, Sachin spends his days in advertising and Shirin spends hers in finance. Said simply, he sells stuff and she manages money. We enjoy our careers and, more importantly, the life we are able to live because of them. As we move into the next chapter in our life, we couldn’t be more excited about adopting a child and showering them with love! We really love the holiday season and are looking forward to spending some quality time as our little family and with our extended families. This year, we’ll be spending Christmas and New Year’s in Orlando, Florida with Sachin’s mom and our friends who live there. 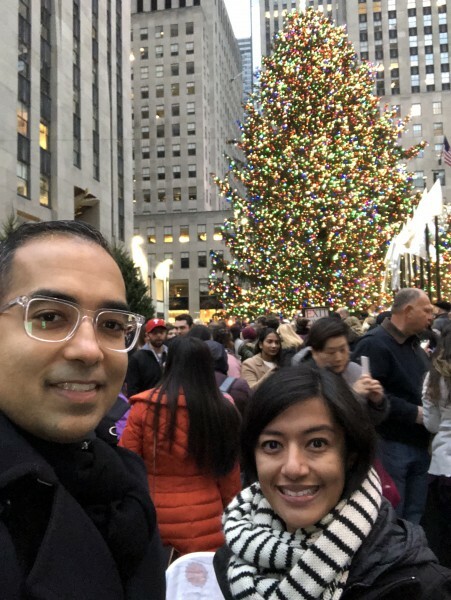 While New York City is a magical place during the holidays (all of the lights, Christmas trees, and snow! ), you can’t beat the Florida warmth too.. at least for a couple of weeks. Plus, we always get to spend at least one or two days visiting Universal and Disney, which is a huge pro.